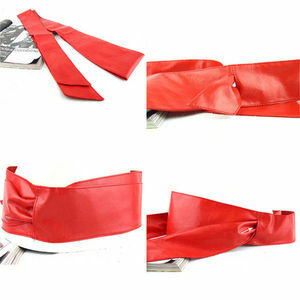 Material pu Leather Color red Size 1.5*90cm/customized Packing 1pc/PE bag 60pcs/Ctn. Payment Term Deposit,70% Balance Payment method T/T, L/C,Western Union,etc. OEM serivce, any special size, color, designs are acceptable. 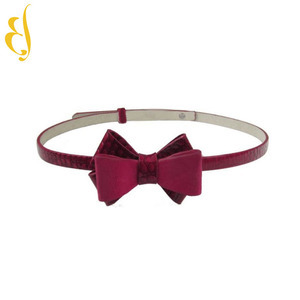 3 YRS Dongguan Hongding Leather Co., Ltd.
pu belt Womens Girls Sweet Bow Tie Bowknot Waistband Skinny Faux Leather Fashion Belt specification Model No. Our services We are a professional manufacturer that always provide high-quality products. We have a great team for design and new models,pls show your ideas or drawing, we can make the exclusive products for you We offer quick respose as we know the time is important to you After Sale For any questions, please freely let us know ,We will deal with them for you timely. 10 YRS Wenzhou Alfa Trading Co., Ltd.
Q:Is sample charges refundable9 A:yes, we will refund your sample cost after your confirm the order. And we also can produce the belts according to the pictures you send to me. Q:Can I make some change for the style9 A:Yes, you can make some changes of the style. 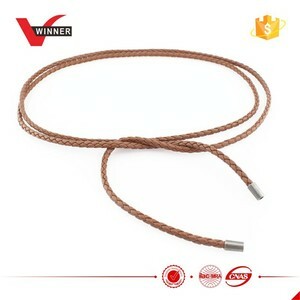 There is a certain of vertical surface between single belts, which makes full space for the connection layer and the outer peripheral surface of the pulley. 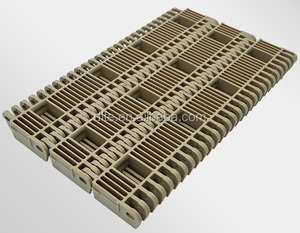 With excellent overall load, it makes the belt stress evenly, smooth operation, high capacity, long life, suitable for high-power transmission. Reduced noise level Application: The banded belts are widely used in Vertical shaft drives, V-flat drives, Compressors, Pumps and Agricultural drives. 12 YRS Hangzhou Hilift Machinery Co., Ltd. I shall send you some pictures and pricelist if you have interesting. And we also can produce the belts according to the pictures you send to me. Q:Can I make some change for the style9 A:Yes, you can make some changes of the style. 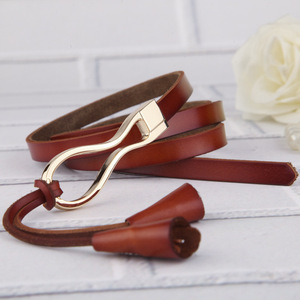 3 YRS Guangzhou Ashley Handicrafts Co., Ltd.
10 YRS Hangzhou JENTAN Machinery Co., Ltd.
Alibaba.com offers 11,565 tie belt products. About 20% of these are ratchet tie down, 8% are hangers & racks, and 1% are cable ties. 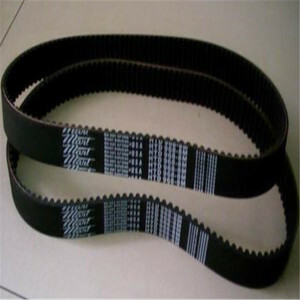 A wide variety of tie belt options are available to you, such as alloy, iron. You can also choose from free samples, paid samples. 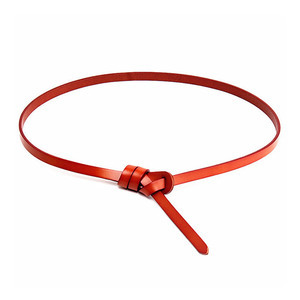 There are 11,565 tie belt suppliers, mainly located in Asia. 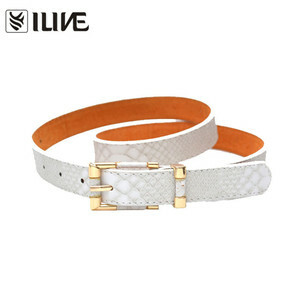 The top supplying country is China (Mainland), which supply 100% of tie belt respectively. 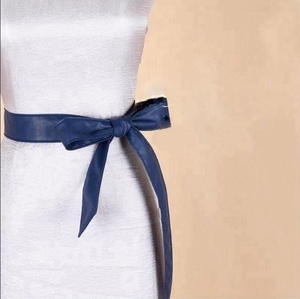 Tie belt products are most popular in North America, Western Europe, and South America. You can ensure product safety by selecting from certified suppliers, including 1,714 with ISO9001, 980 with Other, and 381 with BSCI certification.